Happy 6 Month Birthday Bertie! 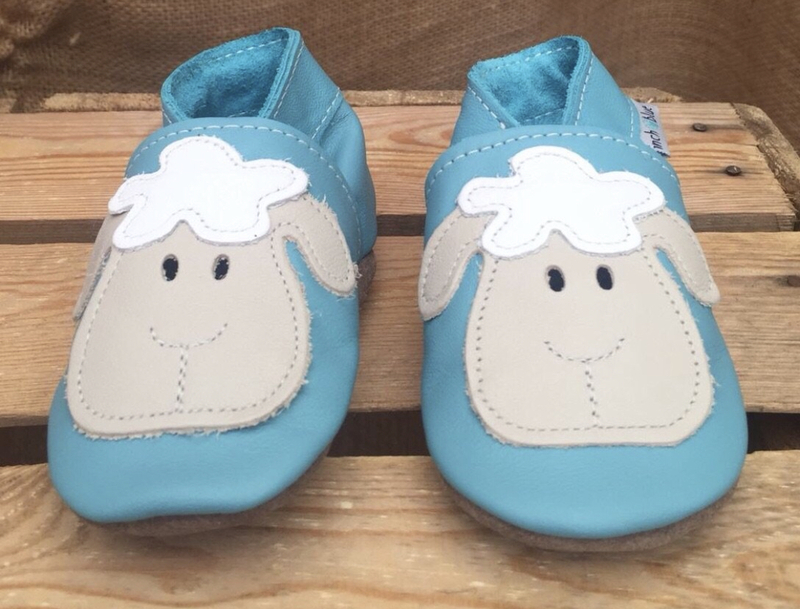 Inch Blue leather shoes have fast become a best-seller at Cotswold Baby Co and it’s not difficult to see why: super cute baby shoes, made in Wales from the softest leather and handmade in the most adorable designs. 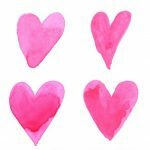 They are Podiatrist recommended and provide perfect support for little crawlers, as well as making fabulous slippers for toddlers, with non-slip leather soles. All in all, pretty perfect shoes for your #littlecub! Founder Rhiannon Owen started the company in 1999 when trying to find shoes she loved for her own children. Some 20 years later, the company has grown far beyond the kitchen table dream and today counts Harrods, Selfridges and of course, Cotswold Baby Co amongst its customers! 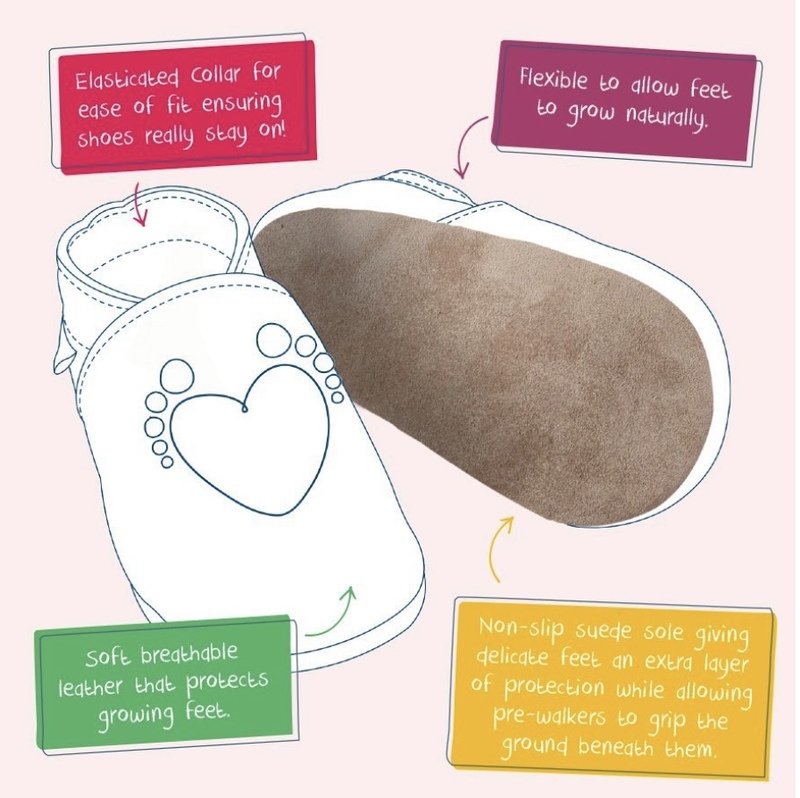 We all know how delicate little feet are and as Mamas ourselves, we were reassured to learn that these adorable shoes are endorsed by Podiatrist, Christina Redfearn who states, ‘Inch Blue shoes address the delicate nature of babies’ feet … they are specifically designed to let little feet breathe and grow naturally’. It’s hard to decide on a favourite design as they’re all so sweet, however we are both in agreement that the little Sheep shoes come top of our list for cuteness! All Inch Blue shoes come with lambswool in the toes and are individually packed in a gift bag as an extra special touch. They make a really special gift for a newborn, and our Sheep and Fox designs are really popular as unisex gifts. Love your baby’s feet and love Inch Blue – you won’t be disappointed! Birds & Ducks – Bertie Fox’s Top Picks! 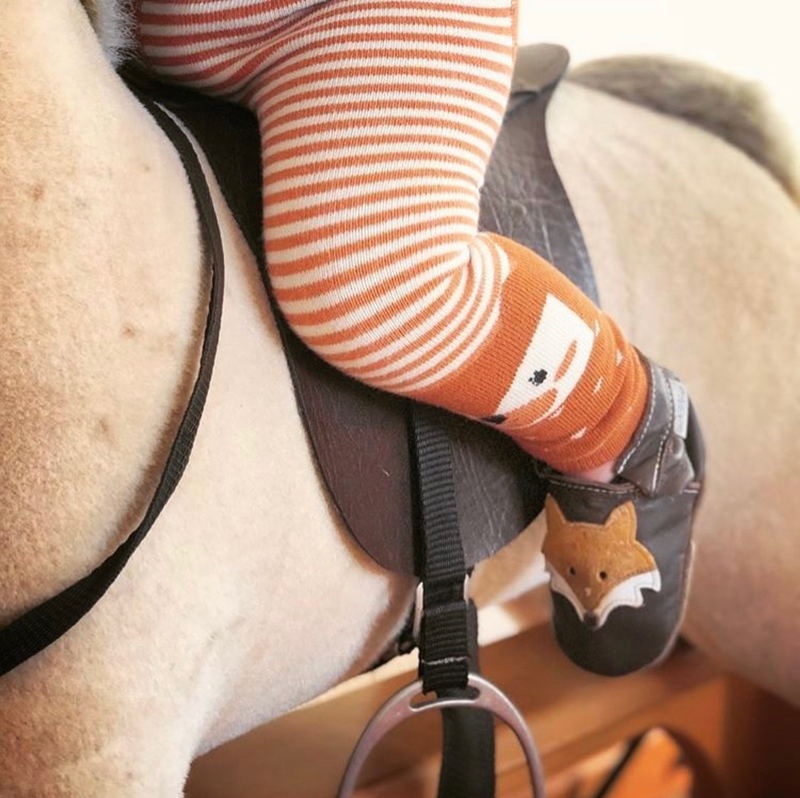 Bertie Fox Loves … Baby Leggings!